This is a giveaway hosted by Partners In Crime Virtual Book Tours for Dale Wiley. 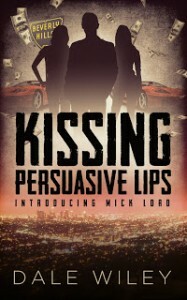 There will be 3 U.S. winners of a kindle ebook copy of Kissing Persuasive Lips by Dale Wiley. The giveaway is open to US residents only. The giveaway begins on July 5th, 2015 and runs through July 31st, 2015. Author Bio: Dale Wiley is a Missouri attorney who has had a character named after him on CSI, owned a record label, been interviewed by Bob Edwards on NPR’s Morning Edition and made motorcycles for Merle Haggard and John Paul DeJoria. He has three awesome kids and spends his days working as a lawyer fighting the big banks.